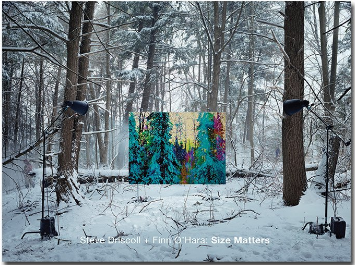 Size Matters brings together the work of painter Steve Driscoll and photographer Finn O’Hara for their first-ever exhibition at a public art gallery. 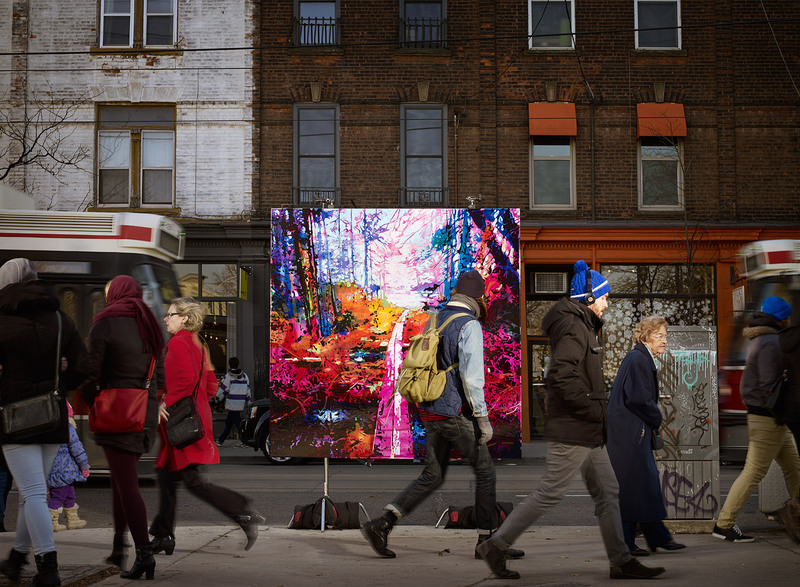 These Toronto-based artists face a dichotomy familiar to many Millennials: urban lifestyles combined with a love for the outdoors. 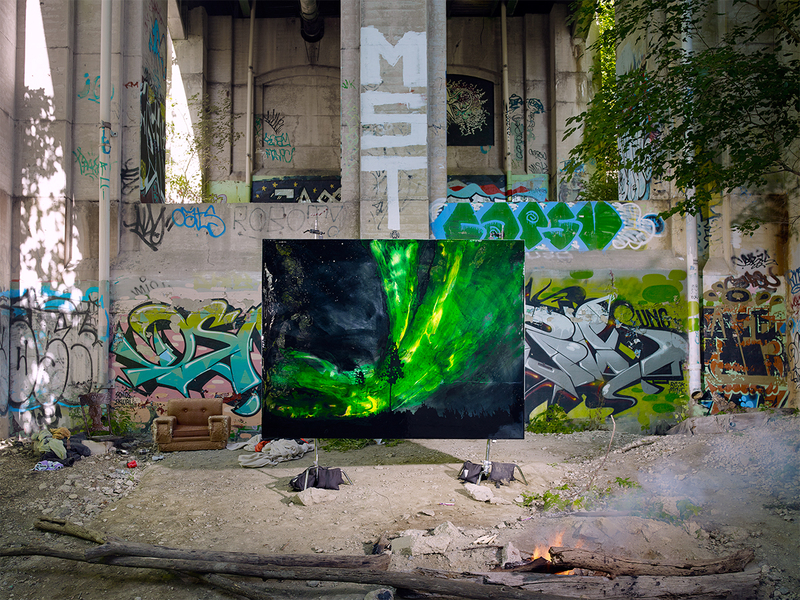 Their work is a creative response to the need for a sense of scale. 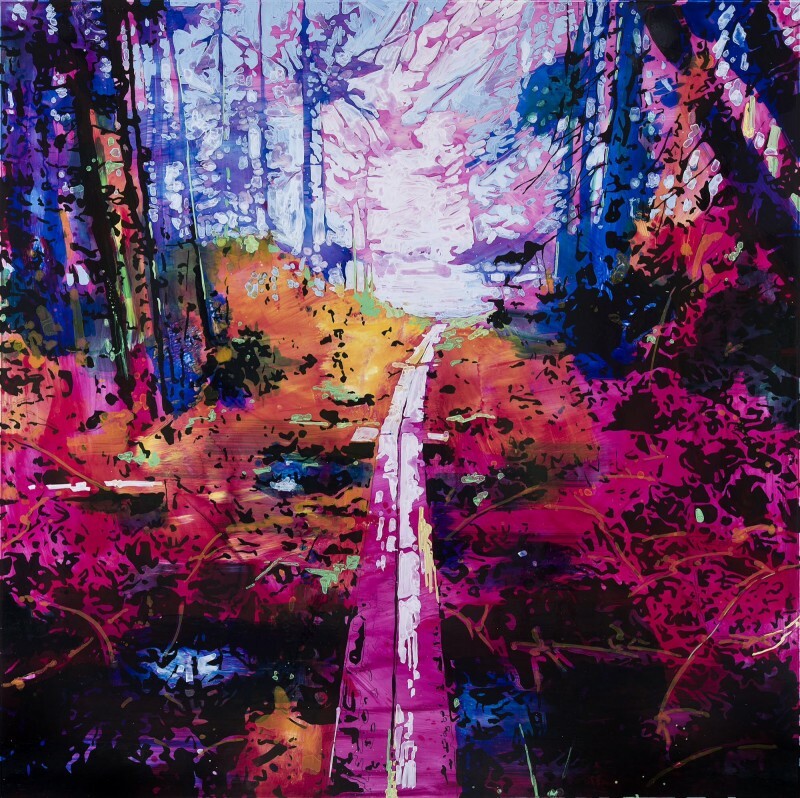 The resulting images are moments of intervention on landscapes that are sharply foreign to the production and even subject matter of the paintings themselves. 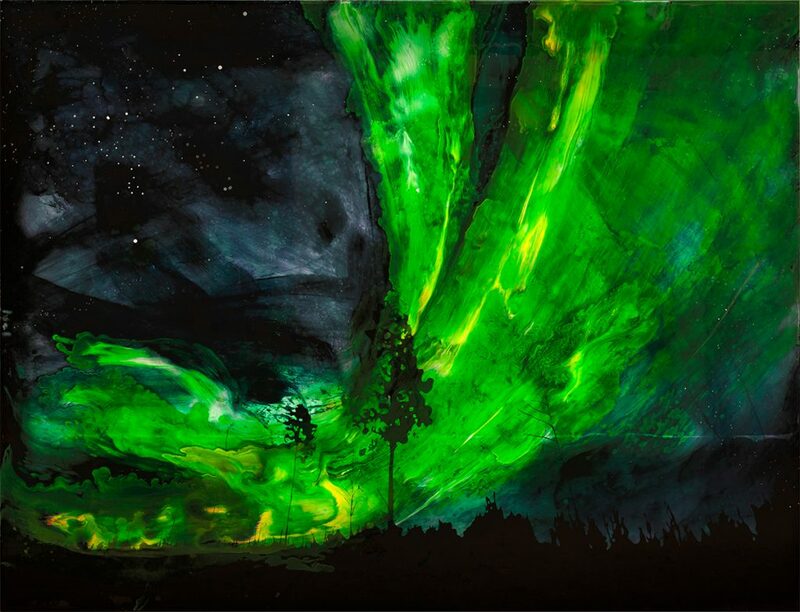 A wooded portage route joins passersby on Queen Street West; a giant northern lights landscape finds itself fireside in the concrete jungle; and a multi-panelled waterfall is juxtaposed with towers of commerce in Edmonton.